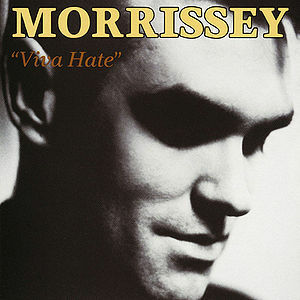 Dial-a-cliché is a song that appears on Morrissey's debut album, Viva Hate. It was co-written and produced by Stephen Street. Well, I was just following you! When you said: "Do as I do and scrap your fey ways"
"Grow up, be a man, and close Your mealy-mouth!" But still you say: "Do as I do and scrap your fey ways"
Dial-a-cliché "The Safe way is the only way! There's always time to change, son!" This page was last modified on 24 May 2014, at 07:46.